Interior Contractors in Oakville | City Centre Contractors Ltd.
City Centre Interior Contractors was started by father Allen and mother Marie. 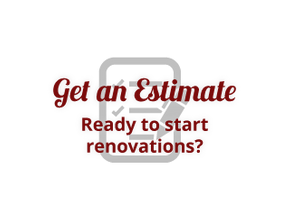 We have been providing commercial and industrial renovations as interior contractors to Oakville and Mississauga for over 44 years. As a family owned and operated business, sons Rob and Dalton took over when Allen and Marie retired. Rob runs the office, and Dalton is our master electrician. Anil has been working with Rob and Dalton for 15 years. City Centre has its own staff and handles much of the work in house. References can be provided upon request. We strive to make sure that your interior space is expertly designed, executed by our interior contractors in Oakville. We are happy when you are happy with the work we do. With the amount of experience of our interior contractors in Oakville we offer more for our clients with options and that put their needs first. Furthermore, because of this experience, we are confident that not only can we meet your expectations, any unexpected problem that arises will be dealt with quickly and effectively. We do our utmost to ensure that all expectations are met & especially the deadline, without ever affecting quality or service. Rest easy knowing that you will get exactly what you are looking for and more! For more information on our interior contractors in Oakville, don’t be shy! Find out what we can do for you and your business. Contact us today.